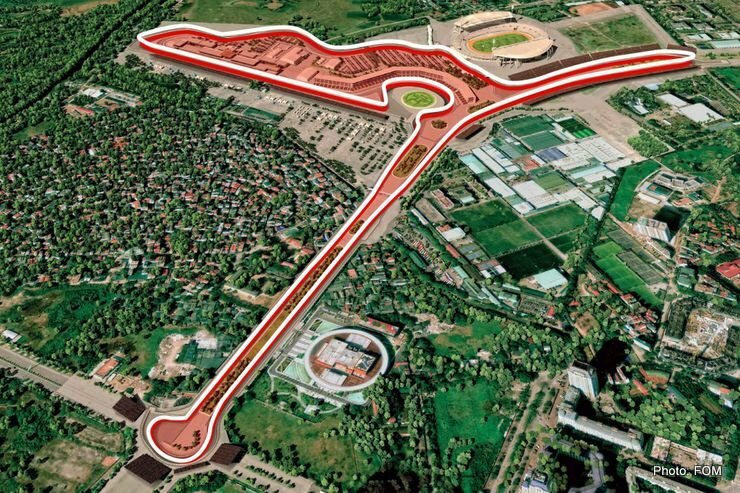 I think it looks interesting, altho Monza style setup could result in procession racing in twisty parts of the track. It's not going to be easy. The idea to copy sectional topography of some known famous tracks is interesting, however having its own unique character would have been also good. China wants two races, and as I understand, so is US. Add Hanoi, and what happened to a racing calendar (in EU)? Is F1 being turned into NASCAR style series? I am not claiming it does, but some elements do not up. First of all forget about comfortable 18 races season. They will need more people to help on some tasks and lighten workload which expanded racing season presents, so, how much all of this globetrotting will bite into a low budget? Fact is, we do not actually know what imposition of budgel level at 200 MM includes. Maybe travel will be covered by Saint Nick. Before (I think) it was Ecclestone who contributed to global travel. Right now a team with 450 MM must cover all line items. From office coffee to an engine. 200 MM seems pretty low, especially of an engine still cost around 12 - 25 MM. It will be wonderful what a team runs out of budgeted amount about in September. Is Liberty planning then to send them home, or US courts will ask for billions for some sort of compensation? I am sure it will be fun. Thanks Sakae for the link. Nice track, Nice copied layout. Maybe I'll go there for the first race. INSIDE LINE: WTF!!! VIETNAM AND NOW PHILIPPINES??? Europe will be collecting crumbs fallen of the table, despite my view that core customers are Europeans. 25 races annually will be a new norm? Well, good luck with that, but I feel sorry for people who have to travel and work each racing weekend.